If you live anywhere near a highway or train track, then chances are that you are highly aware of the unwanted and mostly annoying noises that go on around you. There have not only been complaints to this issue, but also scientific data that proves how detrimental it is to human psychology. This is shown in a study done by Murray Stacey. His article goes on to describe exactly how unwanted noise affects our psychology and how we can silence it. Sound walls are one way of solving this issue and below are the benefits of having a sound wall. Stress reduction is number one on the list for the simple fact that stress, or lack thereof, greatly impacts our life. Stress is most commonly linked to the release of the detrimental hormone, cortisol. The more our bodies release of this hormone, the greater the risk of illness. When we have unwanted noise that causes us stress, we are not able to function at our highest capacity. With sound walls to help us out in this department, our stress can be greatly reduced. Not to mention being able to hear people talking to us. There is quite a variety of sound walls available with the modern development in technology. Because of this, there are different ways to battle the annoying noises that are either keeping you up at night or causing difficulty in communication at work. One of the interesting ways that sound walls solve these issues is by completely absorbing the noise altogether. The sound absorbing materials that are used in some of the sound walls consist of HDPE, wood, sheet metal, and masonry. With the sound being absorbed, it would be as if it never were. Either that, or you can fight fire with fire and give noise back to the noise with the next option. When thinking about using sound barrier walls, it is a good idea to know your options. You can either choose between the sound absorbing material, or the sound reflective material. The sound reflective materials consist of wood, metal, and masonry as well. 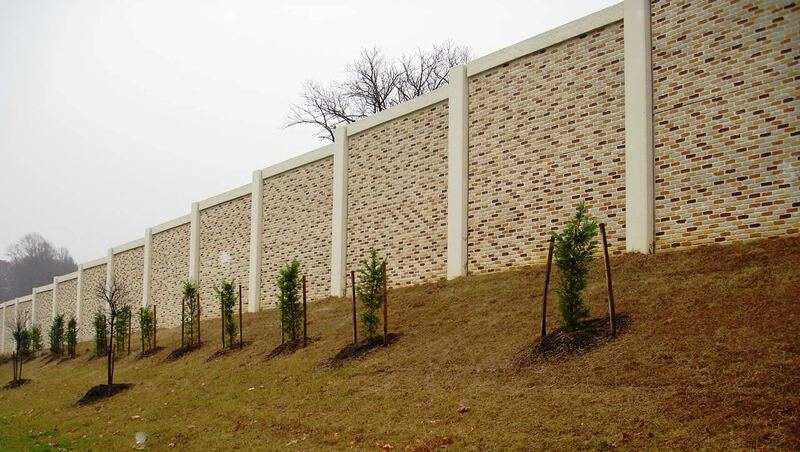 Sound walls are mostly used in commercial areas, so you can expect to see them next to busy highways, in the oil field, freight and mass transit rail areas, commercial loading docks, and industrial sites, to name a few. By reflecting the noise back, it would have a somewhat cancelling out effect on the noise. Either way, it solves the problem. Sound walls are extremely beneficial to the community for several reasons that can go on forever. Let’s put it this way, a happy community, is a good community. You don’t want the community to get angry to the point of violence over unwanted and annoying noise in their neighborhoods, right? Sound walls provide relief for the people.